Is the Marion County Democratic Party Chairman Committing a Felony by Falsely Claiming He is Sending "Official Ballot" to Voters? See below. This is a mailing from Marion County Democratic Party Chairman Joel Miller. What apparently followed today was the claimed "official ballot" which excluded those candidates that Chairman Miller and his minions did not slate. 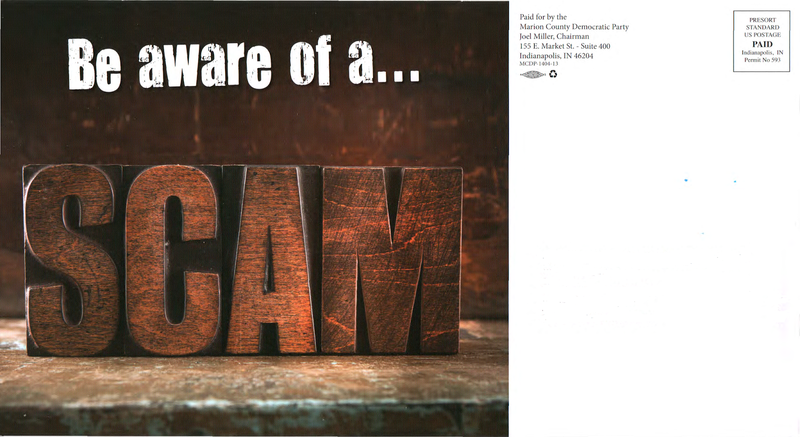 There are a number of false statements on the mailing. First, there is the claim that certain candidates "have not earned the support of the Democratic Party." The Democratic Party does not vote until next Tuesday, so that statement is obviously false. Slating is about the endorsement of the party organization and even that is not accurate as most of the people who vote at slating don't live in the precincts they purport to represent and most are appointed by the county chairman and not elected by the voters. Then you have the absurd attempt to link the non-slated candidates to the "Tea Party." 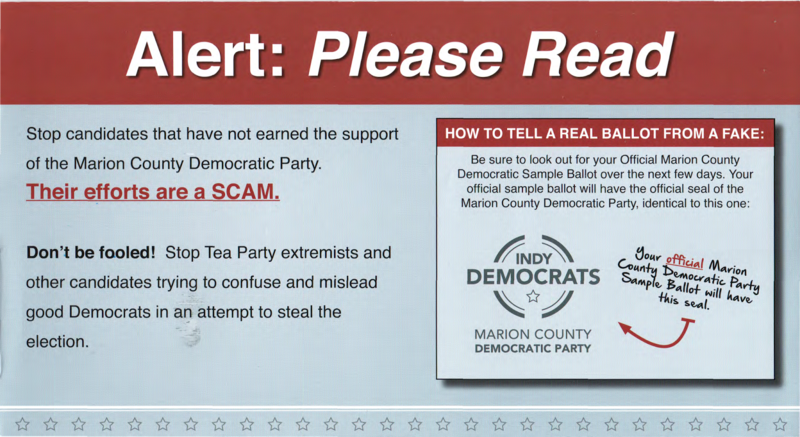 I am not aware of a single unslated Marion County Democratic candidate who has any links whatsoever to the Tea Party. But the one area where Miller's mailing might constitute a very serious election offense, indeed a felony, is his assertion that he will be providing the voters with an "Official Marion County Democratic Sample Ballot." commits a Class D felony. Subsection(b) of that statute refers to a couple statutes that provide exceptions, but neither appears to allow a county party chairman to falsely represent to voters that he is distributing an "Official Marion County Democratic Sample Ballot" when in fact he is doing nothing of the sort. Ironically, the Marion County Election Board will soon be meeting to determine whether it should make a criminal referral of unslated Marion County Democratic candidate under IC 3-14-2-19 for passing out literature that had his name listed with President Obama and gubernatorial candidate John Gregg. In a 2012 election for the House, Mulholland had his literature seized by the Election Board s despite the fact that a decade earlier the Board had agreed that the Slating Statute was unconstitutional and that the Board would no longer enforce it. Of course, the Election Board, which has two of its three members appointed by the Democratic and Republican county chairmen, are not about to enforce the law against the party bosses who can remove them from their position without cause. The Board has an agenda to protect the corrupt slating process and it won't let things like federal courts and its orders interfere with that agenda. Let me be clear when I say: many people---definitely include me among that group---are fed up with the "tea party." They number a small percentage of our electorate and yet have brought government to a halt. David Ford is a "tea party" person who, if he wins the May 6 primary, will try to out-right-wing Susan Brooks. People in the 5th Congressional District need to turn out and vote. Remember. If you are a progressive, against discrimination of LGBT people, in favor of restoring our infrastructure---DON'T VOTE FOR DAVID FORD IN THE PRIMARY. The mid-term elections generally have low voter turn-out. If you live in the 5th, you need to vote. 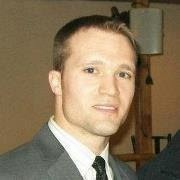 DO NOT CONFUSE JD FORD WITH DAVID FORD---THEY ARE NOT RELATED BY KINSHIP OR BELIEFS. Vote for Shawn Denney or Allen Ray Davidson for 5th Congressional District. Either would make a good member of Congress. Mark's notion that there is some deliberate attempt at voter confusion afoot because there is a Democrat named JD Ford running for the state senate is a stretch. After all, a state senate district, which has about 131,000 people, is a very small fraction (at best 18% if it is all included) of the much larger 5th Congressional District which contains about 726,000 people. Mark not only assumes that Mr. Ford is a member of the Tea Party but that being a member of the Tea Party is incompatible with being a Democrat. But there are Democrats in the Tea Party. In fact, if you examine Mark Small's own political views, you will find that much if not most of his views line up with the Tea Party. What are major issues for Mark? He despises corporate welfare, a system of crony capitalism in which politicians hand out taxpayer money to preferred corporate interests, generally those who are willing to kick back campaign contributions and jobs to the politicians and their friends. That's the same position as the Tea Party. In fact, it's probably No. 1 on the Tea Party agenda which was founded to oppose the taxpayer-funded bailouts that benefited Wall Street, the big banks and insurance companies. Civil liberties is also an issue for Mark. Things like NSA spying, civil forfeiture, the ill-fated War on Drugs and its accompanying increase in power for government and law enforcement, is important issue for Mark. Again, Mark's views are aligned with the Tea Party which has as its major tenet opposing government's intrusion on civil liberties. Mark is also opposed to an interventionist foreign policy. Once again, Mark's position is in line with a majority of Tea Partiers who want a more limited role for the military. There are differences. The Tea Party's belief in less federal spending and returning power to the states is in no way compatible with Mark's view that Congress need to tax and spend more and that states are merely administrative units for the national government. Mark fancies himself to be a liberal, which I think he erroneously believes includes being "open-minded." But when it comes to the Tea Party, Mark's fervent opposition seems to be based solely on years of watching MSNBC host Rachel Maddow and the Daily Show. If Mark did went to a few Tea Party meetings, he would find he has a lot more in common with those folks than he does with establishment Republicans and even Democrats. Is Mark a closet Tea Party person? I wouldn't go that far, but it is fair to say that Mark Small does seem to support most of the Tea Party agenda. The feud between the USA Cricket Association and the American Cricket Federation has taken a new twist, as both governing bodies have been asked to supply letters of allegiance from their members to the ICC. from the ICC as a national governing body. Since 2012, there has been a lack of clarity between the number of leagues the USACA has claimed to be its members, and those which actually are, particularly with respect to those who haven't paid annual membership dues to USACA in the last three years. The ICC's request for USACA and ACF to supply confirmation letters could play a deciding factor in the ongoing dispute in order to decide which body is legitimately in control of cricket in the USA. Having two national governing bodies could potentially result in an ICC suspension for the USA, a fate that occurred in both 2005 and 2007. According to the recently-released minutes from USACA's last board meeting on March 23, ICC president Alan Isaac sent a letter dated March 11 to USACA president Gladstone Dainty requesting updated information on a series of topics including USACA's current membership. USACA board member John Thickett sent a notice to all USACA member leagues requesting them to provide a letter to USACA chief executive Darren Beazley, to pass on to the ICC, in which the USACA member leagues confirm USACA as the sole governing body for cricket in the USA. ESPNcricinfo has obtained communication from an ACF member league in which ACF chief executive Jamie Harrison reached out to ACF members on March 29, asking for each ACF league to supply a similar letter confirming ACF as the governing body for cricket in the USA. "As part of the process by which a new national governing body will be certified for the United States, the ICC has requested that each ACF member league submit a letter asserting that it recognizes the ACF as the USA's national governing body," Harrison wrote to his members. In short, the ACF was formed in the midst of continuing problems with USACA. Both USA governing bodies are competing the allegiance of various leagues within the United States. The governing body with the most leagues will probably be recognized by the ICC as the official cricket governing body for the United States. Indianapolis Mayor Greg Ballard has made a $6 million bet that USACA wins. 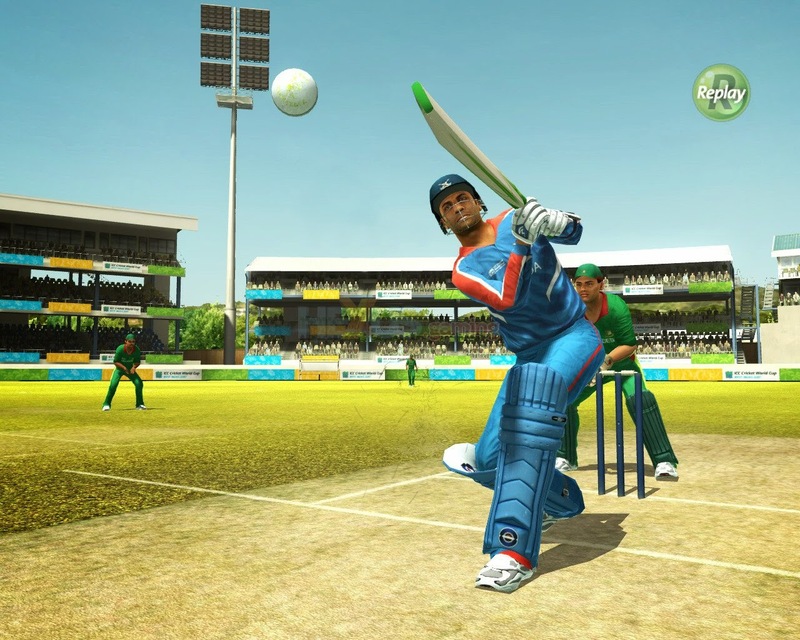 However, it is increasingly looking like ACF is going to beat out USACA in the battle over recognition as the official governing body Thus, the plan for Indianapolis to host, at the World Sports Park in August of 2014, the national men's cricket championship may not happen. REVISION: I have been told that the above is not technically correct, that ICC won't use the current exercise to pick a winner between USACA and ACF. Rather ICC rules stipulate that a member country can't have more than one national governing body. The purpose of the exercise is to confirm there are two governing bodies in the United States. Upon confirmation of that fact, the action to be taken is to suspend the country from membership in the ICC. (A suspension means that all ICC funding is cut off from the member organization.) Following a suspension there is a 12 month period to resolve the issue of cricket governance in the country, and, if at the end of that period the issue is not resolved, the country is expelled from the ICC. As a side note, on Sunday I was taking some recycling to bins behind Guion Creek Middle School and saw a game of cricket being played in the parking lot. I have seen games taking place there before. It seems like an interesting game. Aaron Renn author of the Urbanophile blog recently shared on Twitter an article from The Atlantic entitled "The Privatization Backlash:"
A few years ago, Chicago residents accustomed to parking on the street got a rude shock. Parking-meter rates had suddenly gone up as much as fourfold. Some meters jammed and overflowed when they couldn't hold enough change for the new prices. In other areas, new electronic meters had been installed, but many of them didn't give receipts or failed to work entirely. And free parking on Sundays was a thing of the past. length of the lease: 75 years. If the meter situation seemed like a bad deal for Chicago's parkers, it would soon become clear that it was an even worse one for the city's taxpayers. An inspector general's report found that the deal was worth at least $974 million more than the city had gotten for it. Not only would the city never have a chance to recoup that money or reap new meter revenue for three-quarters of a century, clauses buried in the contract required it to reimburse the company for lost meter revenue. The city was billed for allowing construction of new parking garages, for handing out disabled parking placards, for closing the streets for festivals. The current bill stands at $61 million, though Mayor Rahm Emanuel has refused to pay and taken the case to arbitration instead. Sawyer is not alone. In states and cities across the country, lawmakers are expressing new skepticism about privatization, imposing new conditions on government contracting, and demanding more oversight. Laws to rein in contractors have been introduced in 18 states this year, and three—Maryland, Oregon, and Nebraska—have passed legislation, according to In the Public Interest, a group that advocates what it calls "responsible contracting." "We're not against contracting, but it needs to be done right," said the group's executive director, a former AFL-CIO official named Donald Cohen. "It needs to be accountable, transparent, and held to high standards for quality of work and quality of service." Cohen's organization, a national clearinghouse exclusively devoted to privatization issues, is the first advocacy group of its kind. Doing it right, according to Cohen, means ensuring that contractors are subject to standards of transparency and accountability. Private companies doing government work and their contracts should be subject to open-records laws: In 2011, the city of Truth or Consequences, New Mexico, hired a contractor to videotape city meetings, then claimed the tapes weren't public records. (A state appeals court eventually ruled otherwise.) Companies should be held responsible for cost overruns, and governments should be making sure they're actually saving money: Many private prisons cost more to operate than public ones, the group claims. "We are definitely seeing a wave of states and some cities passing laws to get control of contracting," Cohen said. "There's still a lot of pressure to outsource, but the trend we see is people trying to fix the process and do it better, because of some of the high-profile failures at the federal and state levels." Yet the public impression of privatization as a panacea for the inherent inefficiency of government has been tarnished in the intervening years. From Halliburton to Healthcare.gov to private prisons and welfare systems, contracting has often proved problematic. Perhaps mindful of these high-profile debacles, lawmakers are now more likely to view privatization and contracting proposals with skepticism. "The ideological fervor for privatization has ebbed," according to John D. Donahue, an expert on privatization at Harvard's Kennedy School of Government. By way of background, I was a big advocate of privatization beginning in the early 1990s. I read a number of books on the subject, including the bible of privatization, Reinventing Government, which I have on my shelves today. I attended seminars at which the concept was discussed. In the two decades that followed I have been proven wrong, not about the merit of the concept, but how it would be implemented. That is why I conclude that, while The Atlantic article does an excellent job outlining the symptoms of privatization's failure, it completely omits the causes. Privatization is about using the forces of market competition to lower prices and improve the quality of services provided by government to the people. What I missed, and what the authors of Reinventing Government missed, is that politicians would be more interested in doing what is best for the government contractors than their constituents. Contractors demand to be insulated from market competition by long-term contracts of 15, 30, 50 and 75 years. Even though that would remove market competition from privatization, politicians, plied with large campaign contributions from companies pursuing privatization contracts, eagerly have gone along. I, too, missed the lure of jobs for politicians and their friends offered by these companies as well as the revolving door between those government contractors and the politicians from whom those companies are seeking privatization contracts. There is a reason why virtually every Indianapolis deputy mayor and high-ranking administration official eventually ends up with a company or law firm doing business with the city. Finally, I missed the newest tactic, politicians using privatization to borrow from future generations by getting contractors to pay upfront for a future revenue source. Although The Atlantic offers privatization reforms, the reforms amount to giving a patient a lozenge for his cough, while ignoring the fact the person has bronchitis. The question is how do you stop long-term contracts that create monopolies which are unresponsive to the market and the public? Also, how do you stop the influence of campaign contributions and lucrative jobs on the selection of the winner of the privatization contract? Finally, how do you convince today's politicians that they should not mortgage the future for upfront cash today? Perhaps those causes of privatizations' failure can be addressed by legislation, but I am not optimistic. A curious news story headlined a news broadcast on WRTV yesterday evening before disappearing into oblivion nowhere to be found on its website or any other local news organization's website. According to the report, Matt Hendrix, the former executive director of the Greater Indianapolis Progress Committee, was being charged with the embezzlement of more than $90,000 from the organization. Although GIPC operates exclusively for the benefit of the downtown mafia, it gets its funding from Indianapolis taxpayers and has offices on the 19th floor of the City-County Building. Its annual budget is over $330,000 a year, about a third of which is used to pay salaries. The WRTV report claimed that Hendrix had been given a $17,000 severance payment despite being forced out over accusations of embezzlement. WRTV reported that a search warrant had been served on the Lebanon home of Hendrix' girlfriend, who was said to be a suspect in a scheme to defraud GIPC by funneling payments to a health care company that she and Hendrix had set up and to which payments had been made. It seems rather curious that a report involving the misappropriation of public tax dollars would disappear as quickly as it was reported live on air last night. While Gary's focus is on the nature of the allegations and background regarding GIPC, I am more concerned with the statement that the story "[disappeared] into oblivion nowhere to be found on its website or any other local news organization's website." Obviously as a top story for the evening, the Hendrix story would have been featured prominently on the WRTV website. Yet it is nowhere to be found. Because it involves embezzlement from what is essentially a publicly-funded organization that works for politically-powerful interests in the City, it should be a big story for all the news media in Indianapolis. Yet not a single other media outlet in Indianapolis has reported on it. Obviously someone is making calls to media news directors, apparently someone with so much clout as to stop the Indianapolis media from doing its job in reporting a story which could step on the toes of Indianapolis power brokers. 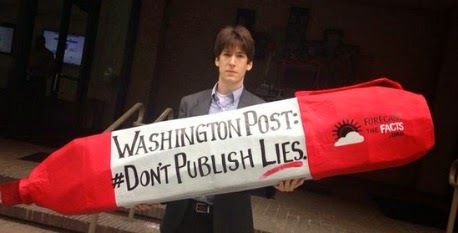 To me the ability to suppress news coverage is actually a bigger story than the Hendrix charges. An adult bicyclist was killed Thursday morning after colliding with an Indianapolis Public Schools bus on the Northwestside. The bicyclist, whose name has not been released, was traveling west in the bike lane on Westlane Road when he collided with the eastbound bus turning north on to Ditch road, authorities said. The accident, just north of Westlane Middle School, was reported shortly before 7:30 a.m. Readers of this blog will know that, as a bicyclist, I have long been a critic of Indianapolis' bike lanes. Most of those lanes are poorly designed and actually make bicycling more dangerous. Reasons? Visibility: Bicyclists are taught to not ride at the edge of the road but instead to "ride wide" and "take the lane" so they are more easily seen. Then when a car approaches, the bicyclist moves to the side of the road. Bike lanes ignore this safety tip in favor of placing the bicyclist at the edge of the road where he or she is least likely to be seen. Narrowing of Lanes: Inevitably the result of bike lanes is that traffic lanes are reduced in size, often barely wide enough to contain large vehicles. As a result it creates a more dangerous experience for drivers as well as the bicyclists who will be right next to outermost traffic lane. In a wide lane, a motorist (perhaps looking at a cell phone) can "drift" without incident. But if a motorist drifts in a narrow lane the result can be tragic. 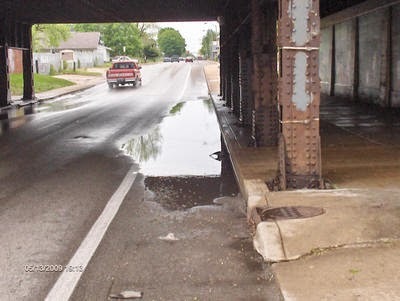 Hazards in Bike Lanes: Because bike lanes are at the edge of the road, they inevitably end up with glass, gravel, debris and standing water in them. Then you have potholes. When faced with these obstacles a bicyclist in a bike lane has no choice but to hit them or swerve out into a traffic lane. Both options can result in injury or even death. Dooring: One of the biggest dangers faced by bicyclists in a city is "dooring." That is when a motorists, quite understandably, doesn't see an approaching bicyclist and open a door. The bicyclist hits the door or quickly swerves out into a traffic lane. Several bicyclists are killed annually by "dooring." Dooring can best be avoided by never riding right next to parked cars. Yet several Indianapolis bike lanes run right next to bike lanes, so close than an opened door covers the entire bike lane. Disparity in Speed: The safest places to bike are places where there is not much difference in the speed of a bicycle as opposed to a car. Downtown streets are pretty safe as bicycles can, depending on traffic, pretty much keep up with cars in many places. Where you have the greatest danger is places where bike lanes are located and there is a great disparity in speed. For example, on Allisonville Road, cars are traveling 50 mph right next to bicyclists traveling 15 mph in the bike lane along that road, assuming there are bicyclists who actually use that bike lane. Framing Bike Lanes with High Curbs: A bicyclist riding in traffic should always be thinking of an escape route, in particular what to do if a car begins drifting toward you. The problem is that in Indianapolis, many bike lanes are framed with high curbs, leaving the bicyclist with no escape route. False Sense of Security: Riding in bike lanes, many bicyclists, especially those that are weekend or recreational bicyclists, feel they are magically protected from traffic. They take less precautions and are less wary of potential dangers. Drivers Less Attentive: Similarly, with bicyclists are confined to bike lanes, drivers are less aware of their presence and may not even see them. For these reasons, you see a lot of serious bicycle commuters who want nothing to do with bike lanes. One of my pet peeves as an attorney is county prosecutors who feels that, while they can prosecute others for violating the law, when it comes to their own behavior, the law is merely a suggestion. The most blatant example of this is civil forfeiture laws. Even though Indiana law explicitly says that prosecutors and law enforcement may only keep in civil forfeiture proceeds to cover costs as to that particular case with the remainder to be paid to the Common School Fund, county prosecutors all over the state ignore the law to pocket 100% of the money, paying nothing to the schools. The reason for this limit on use of civil forfeiture proceeds is to prevent "policing for profit," decisions made about pursuing individuals in forfeiture lawsuits being more about the property seized than punishing people for provable criminal actions. According to my research, which is now a few years old,, Hancock County prosecutors historically have been among those not following the law, pocketing all civil forfeiture proceeds and not paying a dime to the Common School fund. But apparently civil forfeiture is not the only area in which Hancock County Prosecutor Michael Griffin has violated the law. He has also accepted $16,153 in diversion funds as a supplemental salary over the past several years. Indiana law does not allow this. According to IC 33-37-8-6, diversion funds may only be used according to the guidelines set by the Indiana Prosecuting Attorney's Council. According to IPAC Diversion and Deferral Guidelines, "The elected prosecutor shall not receive any salary from diversion or deferral funds." Diversion funds are the fees collected in exchange for foregoing prosecution of an individual. The obvious reason for preventing this use of diversion funds is similar the ignored limits on use of civil forfeiture funds, to not incentivize the prosecutor to forego prosecutions in order to enrich himself. 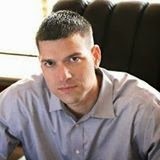 Prosecutor Griffin is being challenged by Hancock County attorney Brent Eaton. In a press release, Eaton suggests that when he confronted Prosecutor Griffin, who is an accountant, tax attorney and CPA, about the illegal payments, Griffin claimed ignorance of the law. I wonder if Prosecutor Griffin dismisses cases when defendants claim "ignorance of the law" in his county. My guess is he does not. Yet when it comes to his own behavior violating the law, Griffin expects a pass. Hancock County voters should say "no." The date is what the data is. We can argue about why but the real question is what are we going to do about it? How are we going to handle seawater rising? How are we going to defend North America if the North Pole melts?" Brainard obviously doesn't understand the anthropogenic global warming theory he is promoting. ﻿﻿﻿﻿There exists only about 140 years of official temperature data, a tiny fraction of the 4.5 billion years of the planet. Contrary to what Brainard apparently believes, the global warming theory is not based on data, but rather is based on future projections by feeding select data into the computer models to come up with long-term projections about a warming climate. Zigs and zags representing warming and cooling periods last tens of thousands of years if not hundreds of thousands of years, even millions. The notion that limited temperature data can be used to make long-term predictions about a dangerously warming climate is, well, preposterous. Even if you cut some slack on Brainard for that mistake, there is no overlooking his complete ignorance of the effect of a melting "North Pole." There is no land under the North Pole. It is a floating ice sheet. When that ice at the North Pole melts, it does not raise the sea level one centimeter. Try this. Put an ice cube in a glass of water. Measure the water level. Wait until the ice cube melts and measure the water level again. It will be exactly the same. It's a lesson that school children all over the country learned in grade school. Apparently Mayor Brainard was absent that day. This morning I had a chance to watch the Election Board "investigatory hearing" into the May 2012 seizure of non-slated candidate Zach Mulholland's literature during the May 2012 primary against slated candidate Dan Forestal. As to be expected, the Board members (Chmn. Cody Kendall, Vincent Perez, and Clerk Beth White) ignored the previous Board members' (Chmn. Mark Sullivan, Patrick J. Dietrick and Beth White) deliberate and knowing violation of a 2003 federal court consent decree in which the Marion County Election Board agreed the law - which prohibits candidates from passing out literature with other candidates names on it without their express written approval, a law that protects the "official slate" in Marion County ("Slating Statute") - is unconstitutional and the Board would not enforce it. The first witness called was Judge Tom Carroll who was a candidate at the same poll location Mulholland was working, a Lutheran church at 10th and Ritter Avenue. Judge Carroll testified about Mulholland passing out literature, which featured Mulholland, President Barack Obama and gubernatorial candidate John Gregg on it. Judge Carroll testified that Mulholland told voters it was the "official Democratic slate" and that he was the "official slated candidate." (During previous conversations, Mulholland vehemently denies this claim by Judge Carroll.) Judge Carroll testified about former Democratic County Chairmen Ed Treacy and Kip Tew making a visit to the polling location and having angry confrontations with Mulholland regarding his literature being a violation of the Slating Statute. Judge Carroll told the Board that "once a lawyer lies to me he never has my trust again." Although Judge Carroll had reported the alleged violation of the Slating Statute to the Election Board, Carroll was never asked if he knew about the federal court order declaring the statute unconstitutional and that the Board was enjoined from enforcing it against Mulholland. One would hope that a sitting county judge would not knowingly encourage the enforcement of an unconstitutional statute in direct violation of a federal court order. Next up was former Mark Sullivan, former Election Board Chairman Like Carroll and Tew, Sullivan is an attorney. 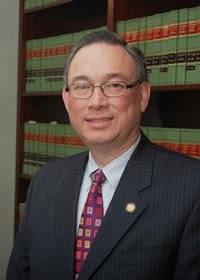 During his testimony, Sullivan admitted that during his tenure on the Board there had other occasions in which the Board enforced the Slating Statute. Of course no board member asked Sullivan if when he voted to enforce the Slating Statute against Mulholland he was aware of the 2003 federal order prohibiting the enforcement of the statute. Next up was former Democratic Marion County Chairman Kip Tew. Tew started off with a self-serving statement about how slating simply reflects the view of precinct committeeman and vice committeemen, ignoring the fact that Marion County party chairman regularly rig the vote by appointing "mummy dummies" whose sole job is simply to vote the way the chairman wants at the slating convention. In fact, Mulholland did go through slating against Dan Forestal only to pay his fee and get an eligible list of PCs and VPCs filled with people who not coincidentally had the last name "Forestal." Tew was the only witness who acknowledged that there was a federal court order against the enforcement of the Slating Statute. When Mulholland, who is also an attorney, reminded Tew about the order, the former Democratic county chairman's response was that it was "not for me to decide" whether the law could be enforced. In fact, as an officer of the court, Tew has a legal and ethical obligation to follow a federal court order. Yet Tew did not do that, instead choosing to acted in what appears to be utter contempt for that 2003 federal court decision by having an angry confrontation in which he demanded non-slated Mulholland's literature. Tew closed out the testimony. Next up was Board legal counsel Andrew Mallon. Although the Board's decision in 2012 was based entirely on the Slating Statute, Mallon today suggested other theories. First, Mallon argued that Mulholland's disclaimer was insufficient because it didn't specifically say it was not "authorized" by Gregg, who was the only other candidate as required by IC 3-9-3-2.5. (Mallon apparently forgot that President Obama was also a candidate in the May 2012 Democratic primary.) Mallon did admit that the Board usually rectifies that defect by allowing the disclaimer to be handwritten on the offending materials, an option Mulholland was never provided undoubtedly because that was not the justification used by the 2012 Board for the seizure. Unwilling to stop with a minor (some would say "petty" violation of election law) Mallon proceeded to suggest that Mulholland's may have also committed voter fraud by violating IC 3-14-2-21, i.e. "fraudulent inducement to vote other than as intended," a Class D felony. The behavior of Democratic board member Cody Kendall and Republican board member Vincent Perez at the hearing was particularly appalling. Kendall and Perez did not act a single question about knowledge various people, including 2012 Board members and people like Tew and Judge Carroll, had about the fact that the Board was specifically barred from enforcing the Slating Statute. All they asked were softballs designed to cast Mulholland in a bad light. 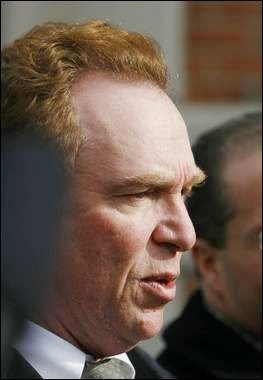 Perez stated that he was "very disturbed" about the testimony and that it was "clear the Board acted in good faith" when it enforced the statute against the statute, an incredible comment since neither or Kendall asked any questions about people's knowledge of the 2003 federal court order. Clerk Beth White clearly looked uncomfortable throughout the hearing and said nothing with regard to the Mulholland investigation even though she was the only remaining Board member from 2012. White clearly did not want to participate in the charade. Chairman Kendall closed the meeting by saying the Board would take two weeks to mull things over and decide what to do. Next Election Board meeting is May 2nd. Note: Given their complete lack of regard as to the 2003 federal court order, I was curious to see if Perez and Kendall are attorneys. Vincent Perez is a licensed attorney but he does not appear to practice, instead listing Perez Forensic Strategies on the Roll of Attorneys. Kendall is also an attorney. While Kendall lists an Anderson address on the Roll of Attorneys, he has apparently opened up a law office on the north side of Indianapolis called "Kendall and Associates." Thus neither Perez or Kendall have any excuse for participating in the continued contempt the Election Board is showing toward the federal courts. They should both be brought before the federal district court and questioned as to why they should not be held in contempt for their conduct in continuing to harass Mulholland with a pointless "investigation." Why is Ballard Administation Agreeing to Pay ACS for Lost Parking Revenue Due to Installation of Electric Car Charging Stations? 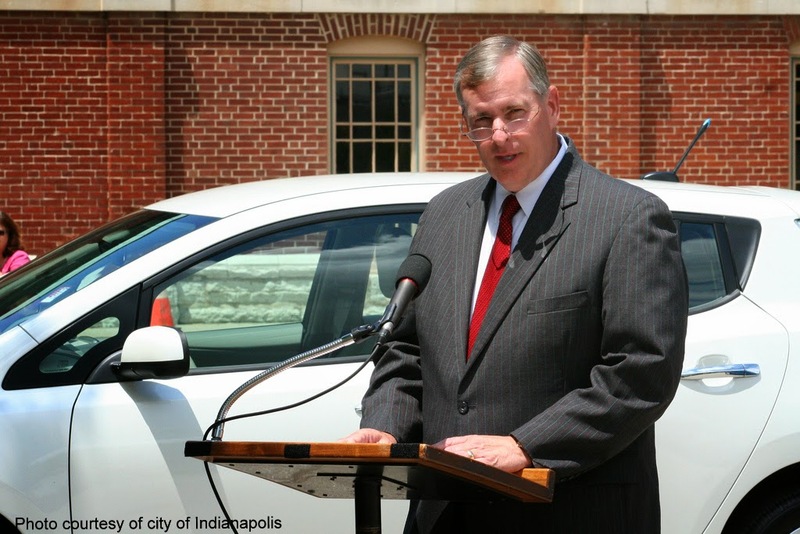 Mayor Greg Ballard’s hope of making Indianapolis the first U.S. city with an all-electric car-sharing service hinges on regulators’ approval of a rate hike to cover $16 million in installation and other costs to Indianapolis Power and Light. The impact on IPL’s typical residential customers would be 44 cents a month, starting in January 2018, according to a petition IPL filed April 11 with the Indiana Utility Regulatory Commission. The city filed testimony by Ballard and other officials to support IPL’s case, which is key to the utility’s agreement with the city to install as many as 1,000 charging stations at 200 locations to support BlueIndy LLC, the local subsidiary of Bollore Group, a French conglomerate that wants to launch a car-sharing service here. The biggest cost to the city will be removing downtown parking meters, according to the testimony of Director of Enterprise Development David Rosenberg. Under a 50-year lease the city signed in 2010, the city must reimburse the meter operator, ParkIndy, for revenue it loses to meters taken out of service for special events or other city needs. Later in Section 7.4 there is language that permits the City to waive compensation by providing written notice that it does not wish the space removal to count toward the 200 non-compensated removals. The obvious question though is why the City would opt to pay ACS, rather than count the parking spaces closed for the electric car charging station spaces toward the 200 allowable space removals that do not require compensation. If the section allowing permanent removal of spaces without compensation is not used, then it would appear that the default is to pay the Temporary Closure Fee. The compensation for that fee is $20 per meter in the two most popular downtown zones while $15 a day in the remaining two zones. Doing the math, if a downtown meter has 100% occupancy at $1.50 an hour from 8 am to 9 pm, the meter will taken in $19.50. Of course it's unlikely that the meters would have 100% occupancy so by getting the Temporary Closure Fee the parking vendor actually makes out better than if the meters were in operation. Heads or tails, the taxpayers lose while ACS continues to win. Biofuels made from the leftovers of harvested corn plants are worse than gasoline at creating heat-trapping gasses in the short term, a study claims, challenging the Obama administration's conclusions that they are a much cleaner oil alternative and will help combat climate change. While biofuels are better in the long run, the study says they won't meet a standard set in a 2007 energy law to qualify as renewable fuel. About 40 percent of the nation's corn crop goes to produce biofuels, but biofuel production from corn residue has yet to be extensively commercialized. 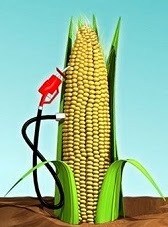 Isn't it time we stop putting our food supply into our gas tanks? Is $3,500 the Price of Political Influence in Fishers? ; Political Leaders Solicit Funds From Business Community For "Exclusive Meetings"
Throughout the past several years, the Town of Fishers has seen growth and expansion unlike any other in the area. Despite a slowly recovering economy, we have seen continued interest from the development community as we work to improve the quality of life in Fishers. It is easy to forget how fortunate we are to have these opportunities that many other communities might not have at this time. In January of 2012, the Fishers Town Council hit the ground running, and we continue to work hard for the Future of Fishers today. Many major project, such as the development of the Nickel Plate District, Downtown area, 1-69 & 106th Street interchange, and various road improvement projects throughout the town are quickly becoming a reality. These projects, along with many others, are essential to maintaining and improving Fishers economic vitality going forward. With he passage of the referendum in the fall of 2012, Fishers will soon take the biggest step forward in our history. This step will bring about drastic changes to the way Fishers is governed, with an expanded City Council and our first ever Mayor. It is more important than ever for us to have elected officials who are committed to improving Fishers' quality of life and managing the enormous growth that is sure to continue. We have created an advisory committee comprised of business and industry leaders, consultants, and other professional community advocates to meet on a periodic basis and provide a forum to discuss innovative ways in which to make Fishers and [sic] even better place to live and work. Your opinions and individual expertise are valuable to our elected officials and the future of Fishers. I invite you to assist us by becoming a Member of the Royal Tiger Progress Committee for an annual membership fee of $3,500, where we can meet to discuss your suggestions and ideas about improving our community. Members will be invited to exclusive meetings throughout the year in Fishers where we will plan to present a brief program to discuss current issues in the community followed by some open discussion. We will be able to share information about what is happening in Fishers, in many cases before you hear about it in the news. Our first meeting for Royal Tiger Progress Committee Members will be on May 1, 2013 from 5:30 pm to 7:30 pm at the home of Mike Williams in Fishers (address redacted). Please join me and other elected officials including Town Council President John Weingardt, and Town Council Members David George and Renee Cox, and Commissioner Christine Altman as we enjoy cocktails appetizers from Bella Vita, and discussions about the future of Fishers. I hope you will be able to make it. On the original CFA-2 filed with the Indiana Secretary of State's Office in April of 2013, Pete Peterson is named as the treasurer of the Royal Progress Committee while a gentleman named Andrew Greider is listed as chairperson. Greider's LinkedIn profile lists himself as Executive Director of the Hamilton County Republican Party and that he had been campaign manager for Andy Cook for (Westfield) Mayor and Jim Brainard for (Carmel) Mayor in 2011. 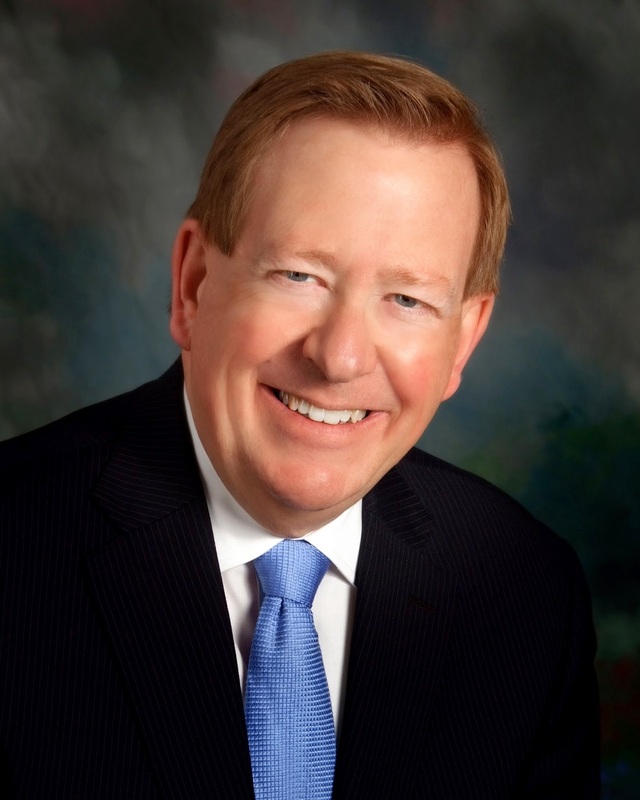 Mayors Brainard and Cook have been identified on this blog as two of most fiscally irresponsible mayors in the State of Indiana. Brainard, in particular, has made it his practice in office to borrow heavily and redistribute the tax dollars of hard working Carmelites to corporate interests who then, in return, support Mayor Brainard as a thank you for their taxpayer subsidies. This is known as corporate welfare, a type of crony capitalism that too many Republicans, especially in local government, have started engaging in. It should also be noted that Pete Peterson, who is also Vice-President of the Fishers Town Council, supported an additional 1% food and beverage tax in Fishers but reluctantly agreed to table it when faced with a public backlash. According to the Fishers Current, Peterson believes the tax increase will have more support when a specific "economic development deal" is struck for which the tax can be used. Translation: Peterson has no problem increasing taxes on Fisherites and then handing that money over to business interests that he (and perhaps members of the Royal Progress Committee) deem worthy. At some point apparently Greider and Peterson thought better of their direct and unseemly involvement in the Royal Progress Committee. In an amended CFA-2 filed in November of 2013, Pete Peterson's wife, Robin, is named as the new chairperson and Charles Lannan is listed as the new treasurer. 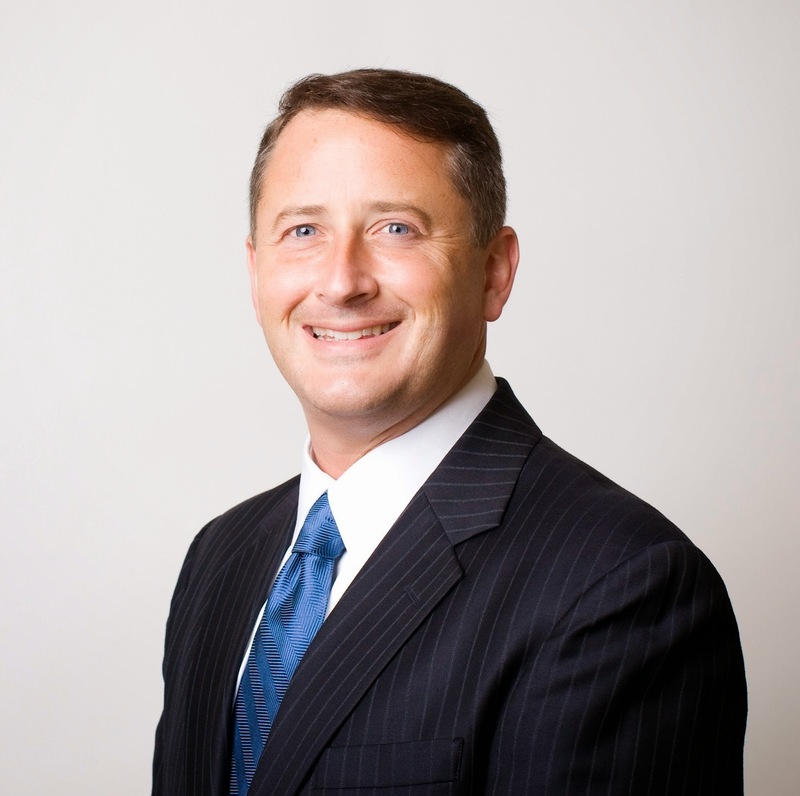 UPDATE: An alert reader pointed out that Andrew Greider is working on the Scott Fadness for Fishers Mayor campaign. • The extension locks in the premier tenants of Bankers Life Fieldhouse—the Indiana Pacers and the Indiana Fever—for up to 13 years; that term coincides with final debt service payments due on the Fieldhouse in 2027. • The extension also removes the ability of the teams to leave Indiana due to economic losses. The fact is the Pacers aren't locked at all. 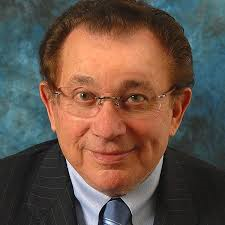 Buried in the middle of the new agreement is a provision that deals with the situation when Pacers' sole remaining owner, Herb Simon, who is 79 years old, dies. (pages 43-47). In that case the heirs who inherent the team through the Simons Trust may well need to obtain financing to continue operating the team or to refinance existing debts of the franchise. The Simon Heirs under the provision can demand the CIB assist them with the obtaining "non-recourse" financing, which is a loan the collateral for which is income from the operations of the franchise, i.e. not the assets. Presumably this would be done by using the CIB's ability to borrow at a lower cost or to loan money directly to the Heirs. In the event the CIB chooses not to help the Simon Heirs with the debt, the Simon Heirs can issue a Notice of Intention to Terminate the new Agreement. In that event, the CIB would have the first right, and 45 days, to, purchase the team. Of course, there is a catch to that. The Agreement specifically acknowledges several times that current NBA rules would not permit the CIB to own the team. If the CIB's offer to buy the team is rejected, an appraisal of the team is done by three appraisers. If the appraised value of the Pacers is 110% or more of the CIB's offer, the Simon Heirs would be free to terminate the new Agreement. According to Forbes, the current value of the Pacers' franchise is $475 million dollars. That is more than 3 times the budget of the CIB. The odds that, even if the NBA rules allowed the CIB to purchase the Pacers, the CIB could do so is pie-in-the-sky stuff. About 88 percent of teachers and administrators were rated as either effective or highly effective in the 2012-2013 evaluations. Only about 2 percent reported needing improvement, and less than a half of a percent were deemed ineffective. About 10 percent of educators were exempt, some because their districts have not reopened teacher contracts since the law was passed. Legislation passed in 2011 mandated each district conduct an annual review for all teachers and administrators. Only teachers in the higher two brackets are eligible for salary increases. [N]o educators at Northern Indiana's F-rated Chamberlain Elementary School in Goshen were ranked below effective, and only one at D-rated Chandler Elementary School was reported as needing improvement. "We didn't think it was possible for a D or F school to say all teachers are effective or highly effective," State House Education Committee Chairman Bob Behning said. "We thought (the school ratings) would keep schools somewhat a little more honest." Educators in some school districts were uniformly rated as "effective." Only one person was ranked "ineffective" from North Lawrence Community Schools in Central Indiana, and every other educator was given a higher "effective" rating. Over at the blog Indy Democrat, my friend and teacher Jon Easter suggests the numbers are to be celebrated. Yeah, I don't think so Jon. Any profession in which only 2 1/2% of those in the profession is deemed "ineffective" or needing improvement is undoubtedly not accurate. I'd certainly put the number of "effective" teachers higher than lawyers. But still I don't buy those numbers. I kind of doubt Jon does either. 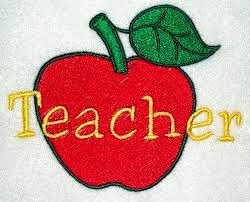 On the other hand, one thing I have always parted with my conservative friends on is merit pay for teachers. I had long harbored doubts that administrators would honestly evaluate teachers and thought the process would become political. What appears to be happening is that virtually every teacher is given a stamp of approval and therefore made virtually eligible teacher for more pay. The Pacers will continue to play basketball in Indianapolis for at least a decade under a $160 million deal the team and the city plan to announce Monday morning. The agreement locks the team into Bankers Life Fieldhouse for 10 years, with three one-year renewal options, according to documents obtained by The Indianapolis Star. In exchange, the city will provide $160 million to cover operating costs and facility upgrades. The city's Capital Improvement Board is expected to vote on the deal Monday. Although the deal is touted as a new 10 year deal, in fact there was already another 5 years on the old deal. So the extension is actually only for 5 years, not 10. The Indiana Pacers and Indiana Fever attract hundreds of thousands of people to Indy on an annual basis," Mayor Greg Ballard said. "Many Downtown workers and businesses rely on those fans for their income. Amenities like professional sports, art and museums make our community a more vibrant and attractive place to live and do business." Obviously Mayor Ballard has never had an economics class. If he did he would understand a concept known as "disposable income." Pacers' games, which are attended almost entirely by local individuals, are not adding new spending to the city. The team is simply moving disposable income from one part of the metro area to another. It is one of the reason why economists are almost unanimous in their belief that professional sports teams are a poor investment for cities. [The deal] breaks down to $3.7 million for direct operating expenses and $7.1 million for "operating reimbursement" payments, according to a CIB board presentation obtained by IBJ. The $7.1 million figure would rise by 3 percent each year over the course of the deal. If the team's lenders call its current loans due, or if those loans mature, the Pacers must seek replacement financing that is secured by collateral, likely real estate. The CIB would have time to ask state lawmakers and the City-County Council to help the Pacers obtain such financing. If the team can't obtain such financing and the Pacers' parent company, Pacers Sports & Entertainment, decides to sell the team, the city is entitled to a right of first offer. It is not clear whether the deal would allow a new owner taking over the team after Simon's death to move the team. One thing is for certain though - Indianapolis taxpayers will pay dearly to make our billionaire basketball team owner even wealthier. As been reported on these pages before, in the 2012 the Marion County Election Board voted 3-0 to enforce the anti-slate statute against House candidate Zach Mulholland during the May 2012 primary. The statute says that candidates who pass out literature with their name and anyone other candidate have to file with the Election Board written approval from the other candidate or face a Class A misdemeanor election law violation The purpose of the rule is to protect the "official" Marion County slate from those dare challenge it. In a lawsuit in 2003 in which I was plaintiff, the local federal court found the statute unconstitutional and the Marion County Election Board entered into a consent decree agreeing with that decision and to not enforce the statute. Nevertheless, in defiance of the federal court order, the Board did exactly that in 2012 dispatching what were little more than thugs out to the precincts to seize Mulholland's literature in a hotly contested race he had with eventual winner slated candidate Dan Forestal. In federal court litigation, Judge Sara Evans Barker dismissed the case, saying that the 2003 decision that the statute was facially unconstitutional only applied to me and Indiana Right to Life, the other plaintiff in the case. On appeal to the 7th Circuit, Judge Hamilton wrote that a statute can't be facially unconstitutional as to just the plaintiffs in a litigation, that when a statute is facially unconstitutional it's facially unconstitutional to everyone. In his opinion, Judge Hamilton also said that the Board's attempt to continue to enforce a statute that it had admitted was unconstitutional "shaves very close to harassment or bad faith prosecution." Faced with the rebuke from the Seventh Circuit, what did the Marion County Election Board do? If your guess is engage in yet more behavior to prove beyond any doubt that the Board is involved in harassment and bad faith prosecution regarding its treatment of Mulholland, you'd be correct. 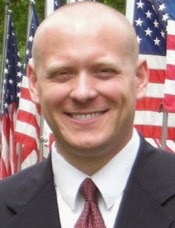 On March 27, 2014, the Board doubled down on its own 2012 arrogant defiance of the 2003 federal court order.by passing a resolution to hold a meeting on April 23rd to determine whether Mulholland violated any criminal laws during the May 2012 primary and whether a referral should be made for his prosecution. It is outrageous that the Board continues to use partisan attorneys billing taxpayers to litigate a case that should have been settled immediately. That bill last year was approaching $150,000. Further, the attorneys who are involved in this case, including those on the Election Board (all three of those Election Board members were attorneys) who voted to enforce a law in 2012 they knew they were specifically prohibited from enforcing, and the attorneys who participated in thuggish acts of ripping literature out of the hands of Mulholland's volunteers, should be brought before the federal court to explain why they shouldn't be held in contempt. During the March 27, 2014 meeting it was discussed that the federal litigation is "pending" and issue of whether the slating statute is constitutional hasn't yet been decided yet. Wrong. The statute was determined to be unconstitutional in 2003 and that decision was reaffirmed in the 2013 Seventh Circuit case. The case is over. It is time for the Election Board to stop harassing Mulholland and stop using this litigation as an excuse to put money in the pockets of partisan attorneys. Saturday afternoon, I received a knock at my door. It was my postal carrier. He come bearing a new grievance filed against me by Executive Secretary Michael Witte of the Indiana Supreme Court Disciplinary Commission. I wasn't surprised. I know how the Disciplinary Commission has operated under former Executive Secretary Donald Lundberg and now Witte. The Commission has long ceded as its primary mission enforcing the rules to protect the public from unethical attorneys. Rather, under Lundberg and Witte the Commission has become a tool to go after critics and other attorneys the Commission doesn't like. They have been relentless in that goal. When an attorney who fights charges escapes the disciplinary process with his license intact, other charges almost inevitably follow. The Commission will continue until it gets the attorney's license or the attorney gives up and leaves the practice of law. Witte's grievance this time is that I wrote about my interaction with Shirley Justice, the young mother who was shot 14 times outside a day care facility on the northwest side of Indianapolis. Ms. Justice had contacted me about filing a "lazy judge" praecipe against Judge Patrick McCarty who had pending before him a petition for modification of child custody that was over 90 days. She pleaded with me to represent her. I told her I couldn't, but discussed the lazy judge process with her, reviewed the docket, and reviewed the lazy judge praecipe she drafted pro se. She by fax tried to file the lazy judge praecipe Monday morning. She then contacted me upset, reporting to me that talked to a clerk in the office and that even though she had faxed it nearly the first thing that morning, an order on her case had been entered ahead of the motion. Her lazy judge praecipe was deemed moot. As I indicated to her, that's not the first time I had heard it alleged that Judge McCarty will execute an order for filing ahead of a lazy judge praecipe, thereby mooting the praecipe. Judges hate lazy judge praecipes because they trigger a disciplinary type process in which the judge has to explain to the Supreme Court why a timely ruling was not made. What to do? I reported what happened in Judge McCarty's court to counsel for the Judicial Qualifications Commission and the State Court Administrator. Apparently they didn't buy it either that the order was done before the praecipe. The Supreme Court ordered that the praecipe be shown as having been filed first. The case was removed from Justice McCarty's court. I didn't plan on writing about what happened until Ms. Justice, while outside a day care center dropping off her child, was shot 14 times, allegedly by her ex-husband. In the grievance, Witte fails to identify any disciplinary rule I violated but suggests from the my article in which I reported what Ms. Justice said and her allegations regarding Judge McCarty improperly revealed confidential information from my discussion with the potential client. It is not clear by what authority Disciplinary Commission Executive Secretary Michael Witte thinks he has to assert a potential client's confidentiality rights. It is not clear under by what authority that Witte believes that an attorney can be sanctioned for revealing information that a client had no problem revealing. I have since talked to Ms. Justice. I confirmed that Ms. Justice had no problem with my including the information of our discussions in the article and, in fact, approves of what I wrote. She has also talked to the media. She wants her story out, including what she believes Judge McCarty did to her. Before filing a grievance asserting that I had violated Ms. Justice's confidentiality rights, neither Mr. Witte nor anyone at the Commission bothered to talk to Ms. Justice. This is consistent with the fact that the Commission made no effort to talk to me or any of my witnesses before filing charges based on my sending emails criticizing a Hendricks County judge and my writing a letter educating judges about how civil forfeiture proceeds were to be divided. One thing is clear though. What Witte did by filing that new grievance against me is nothing more brute retaliation for my criticizing him and the Commission and, in particular, my doing my job of reporting what happened to Ms. Justice in Judge McCarty's court. I tried to blow the whistle on possible judicial misconduct and Witte doesn't like that. It's exactly because of Witte's approach that we have Indiana attorneys remaining silent when faced with judicial misconduct. I am undoubtedly the biggest public critic of Witte and the Commission. Time after time I have seen the Commission fail to go after unethical attorneys who are doing great harm to the public while instead devoting enormous resources to going after attorneys who allegedly commit petty offenses, but have instead committed the greater offense of offending the Commission. In that regard, I have no doubt that Witte will continue to file things against me until he assures I no longer have an Indiana law license. He has devoted enormous Commission resources to that goal and will not quit until he is successful. The Disciplinary Commission has been allowed to operate with very little oversight and no transparency for years. It is axiomatic that any government agency that is allowed to operate under such circumstances will at best end up corrupt and at worst will end up with authorities in that agency abusing their power. Clearly Witte is not above abusing his authority to target critics with the enormous power of the Disciplinary Commission, a fact I've personally experienced multiple times. Witte, who is actually an appointment by former Chief Justice Randall Shepard, clearly lacks the temperament and judgment to sit as Executive Secretary of the Disciplinary Commission. He needs to be fired and the Commission's activities thoroughly investigated. Every attorney I know is terrified of speaking out about problems with the Disciplinary Commission because of fear of retaliation. Nobody I have ever met though thinks the Commission is doing a good job or that its processes shouldn't be thoroughly investigated and reforms of the disciplinary process instituted. The time for that is long past due. In a ruling handed down last Friday by Federal Southern District of Indiana Judge Sara Evans Barker, former Secretary of State Charlie White won the right to pursue claims against defendants the State of Indiana, the Indiana State Police, Special Prosecutors John Dowd and Daniel Sigler, Jr., Prosecutors Daniel J. Sigler, Sr., Sonia Leerkamp, D. Lee Buckingham, III, and Jeffrey Wehmueller, and Indiana State Police Detective Paul Hansard. VI. Conspiracy to violate 42 U.S.C. Sec. 1985 against defendants Leerkamp, Wehmueller, Dowd, Sigler, Sr., Sigler, Jr. and Hansard. 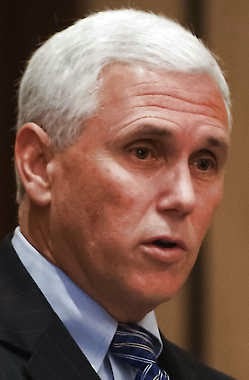 The Defendants, through the Indiana Attorney General's Office, had sought to dismiss each of the claims. court. 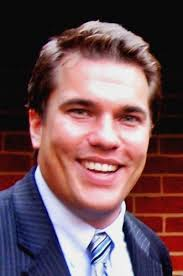 Judge Barker also found that any allegations relating to matters he was convicted of are barred and dismissed those without prejudice and dismissed White's emotional distress claim. Judge Barker found, however, that White had sufficiently pled his two claims that the actors identified above were involved in a "far-reaching conspiracy." White is also also permitted to pursue claims against the prosecutors as to the bank fraud charge for which White was acquitted by the jury. As Judge Barker noted, while prosecutorial immunity does protect the decision to bring charges, it does not protect prosecutors against the allegation that they directed the investigation that resulted in the charges. I should note the major effect of this decision is that it now allows White to pursue discovery against the named defendants, discovery that could prove very embarrassing and possibly even incriminating. In ruling on the Motion to Dismiss, I would commend Judge Barker for sticking closely to the concept of notice pleading. Too often federal courts, based on a gross misinterpretation of the Supreme Court's Iqbal and Twombly cases, have concluded that notice pleading in federal court is dead. Plaintiffs are increasingly facing Rule 12(b)(6) motions to dismiss in federal court, regardless of how detailed their complaint is. The effect is that the motion to dismiss stage in federal litigation has been converted by into a second extremely expensive and drawn out summary judgment stage. Ironically, Judge Barker ends her opinion with strict instructions to White to follow the notice pleading rule of making a "short and plain statement" of his claim when he amends his complaint. As someone who practices in federal court, I wish that were enough but too often it isn't. When is the Hamilton County Prosecutor's Office Going to File a Civil Forfeiture Action Against Colts' Owner Jim Irsay? By now, people who read my blog should be aware of the the abuses of civil forfeiture. That's the tool that allows law enforcement to keep cash and property seized from private citizens through the use of a civil action, an action that employs a much lower standard of proof than the criminal "beyond a reasonable doubt" standard. Criminal charges do not even have to be filed to pursue a civil forfeiture. The civil action need only allege that the property was used in conjunction with a crime. Although Indiana's civil forfeiture law only allows law enforcement to keep money to cover costs of the law enforcement action (the rest of the money is to go to the Common School Fund), prosecutors all over the state have worked to keep 100% of the proceeds in direct violation of the law. The Hamilton County Prosecutor's Office is one of those prosecutor's offices which haven't turned over a dime of civil forfeiture money to the Common School Fund for years. Worse yet, I heard from a defense attorney who practices in Hamilton County that during the person's processing after a seizure in that county (and before charges are filed if they are filed), law enforcement officials will try to get the person to sign a waiver giving law enforcement everything that was seized. It is very questionable what happens to the seizures that result from these waivers or whether a civil forfeiture action is ever filed since they have been "settled." At the conclusion of the case when a determination is being made of which government agencies receive the civil forfeiture money, most judges are just simply signing off on the prosecutor's paperwork that allows law enforcement to keep 100% of the money. The civil forfeiture defendant does not have standing to challenge that division of the money and thus there is no one to oppose the prosecutor at that point. 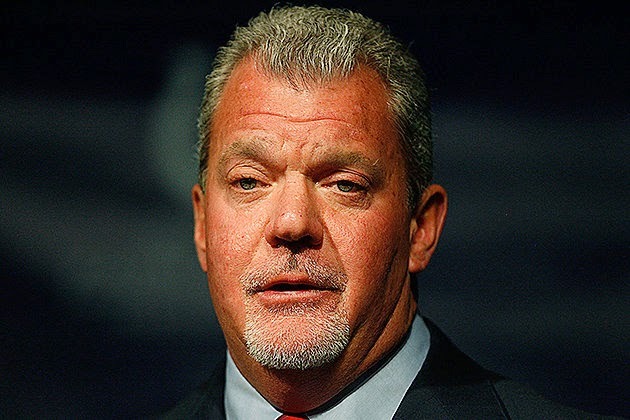 Jim Irsay was found with $29,000 in cash on him during his arrest. Did Hamilton County law enforcement ask him to sign a waiver letting them have the money as they would have with a private citizen? Apparently not. As of today, no civil forfeiture action has been filed by the Hamilton County Prosecutor's Office against Irsay. You can bet that if Irsay were an ordinary citizen, the Hamilton County Prosecutor's Office would have immediately filed a civil forfeiture action against him. Once again, the Hamilton County Prosecutor's Office demonstrates there are two types of justice in that county, one that applies to people who have money and political power and the one ordinary citizens must face. The Indiana Law Blog today put up a link to an excellent New Yorker article on civil forfeiture. One of the immutable laws of economics that when something is taxed you will get less of that something. If you tax income, you discourage people from working. If you tax savings, you discourage people from saving money. If you tax people buying goods, spending will decrease. If you tax home ownership, people will be discouraged from owning homes. Making things more expensive, has consequences. With that said, probably the worst tax I can think of is the 2.3% tax on medical devices levied by the Affordable Care Act, aka Obamacare. I can't imagine a worse tax. Why would we want to discourage the development of medical devices, an area where the United States is a leader? Indiana Gov. Mike Pence sent a letter to President Barack Obama on Monday asking him to work with Congress to repeal a 2.3-percent excise tax on medical devices that is helping to pay for the federal health care law. The tax is expected to generate about $29 billion over 10 years, according to the Joint Committee on Taxation. That money is being used to pay for subsidies to help lower- and middle-income Americans buy health insurance. The tax is levied on equipment, stents, pacemakers and other devices manufacturers sell to hospitals and other health care providers. But it doesn’t apply to medical equipment – such as hearing aids – that are sold directly to the public. But Obama previously threatened to veto bills to eliminate the tax. The White House has said the health care industry – including medical device makers – will benefit from additional customers as millions more Americans get insurance through the Affordable Care Act. But according to Pence, the state’s medical device companies are moving work overseas or cutting costs. “I have heard from many Indiana-based medical device companies – small and large, start-ups and well-established – that have reduced research and development at their facilities or reduced wages for their employees,” Pence wrote in his letter to the president. Facing a losing political debate, climate alarmists have increasingly latched onto a new tactic - demanding that their opponents be silenced. The Los Angeles Times and the Reddit Science website have all decided to stop publishing letters and other commentary that dispute the theory that man is causing dangerous anthropogenic global warming orthodoxy. Other publications have followed suit. Now we learn from a massive randomized study — 90,000 women followed for 25 years unnecessary radiation, chemo or surgery. Hurricane Sandy was made the poster child for the alleged increased frequency and strength of “extreme weather events” like hurricanes. 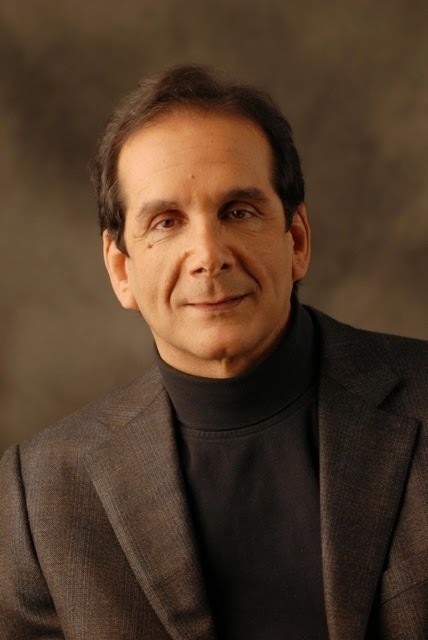 Which one of the facts that Krauthammer cites in his column is false? I am guessing none of them as Krauthammer backs up everything with links to authority. Yet some on the left would still like Krauthammer silenced because his words, though true, undermine the anti-growth political agenda for which global warming, now "climate change" is merely a tool, a means to an end. What is next? Is the left going to advocate book burning to suppress views they don't like?